I graduated at the University of Brussels (VUB) with a Master's degree from the Solvay Business School (1999-2004). After graduating I briefly worked as an analyst in the IT-department of a local construction company, where I was responsible for information organisation issues of the company's CRM. This triggered my interest in information organisation and retrieval, after which I applied to enter the VUB's PhD program and started working as a researcher at the MOSI-research group. At the same time I obtained a Master after Master in Business Information Management at the VUB. In June 2010, I finished my PhD on corporate tags. 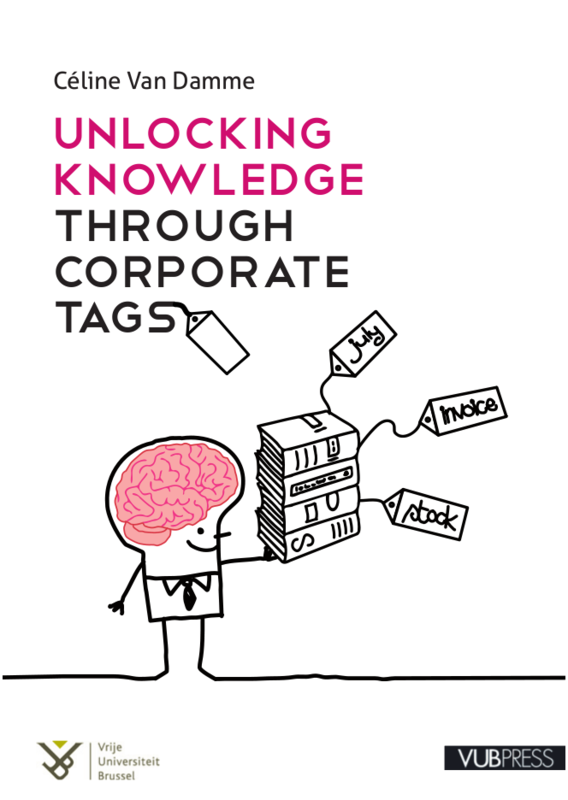 More specifically, I investigated how corporate tags can be analysed to unlock tacit and explicit knowledge in the company. Van Damme, C., Coenen, T., Vandijck, E. (2008). Deriving a Lightweight Corporate Ontology form a Folksonomy: a Methodology and its Possible Applications. Scientific international journal for parallel and distributed computing. Vol. 9, Nr. 4. Van Damme, C., Christiaens, S., Trog, D. (2008). Methodological Approach to Determine Appropriately Annotated Resources in Narrow Folksonomies. In Robert Meersman, Zahir Tari, Pilar Herrero et al. (Eds. ): OTM workshops, LNCS 5333-0230, pp.230-237. Van Damme,C., Hepp,M., Coenen, T. (2008). Quality Metrics for Tags of Broad Folksonomies. In Auer, S., Schaffert,S. and Pelligrini,T. (eds. ): Proceedings of International Conference on Semantic Systems (I-semantics'08),Journal of Universal Computer Science (J.UCS), 2008, pp.118-125. Van Damme, C.; Coenen, T.; Vandijck, E. (2008). Turning a corporate folksonomy into a lightweight corporate ontology. In Proceedings of the 11th International Conference on Business Information Systems (BIS 2008), May 5-6, Innsbruck, Austria, in: Abramowicz, Fensel (Ed. ): BIS 2008, LNBIP 7, Springer 2008, pp.36-47. Van Damme, C., Hepp, M., Siorpaes, K. (2007). FolksOntology: An Integrated Approach for Turning Folksonomies into Ontologies. Proceedings of the ESWC 2007 Workshop Bridging the Gap between Semantic Web and Web 2.0, Innsbruck, Austria, pp.71-84. Van Damme, C. , Christiaens, S., Vandijck, E. (2007). Building an employee-driven CRM ontology . Proceedings of the IADIS Multi Conference on Computer Science and Information Systems (MCCSIS): E-society2007, Lisbon, Portugal, pp.330-334. Rabaey, M., Van Damme, C., Vandenborre, K., Vandijck, E., Timmerman, M. (2007). Ontology Negotiation in an Intelligent Agents Dynamic System for Military Resources and Capabilities Planning. Proceedings of the IADIS Multi Conference on Computer Science and Information Systems (MCCSIS): ISA2007,Lisbon, Portugal,pp.178-182. Coenen, T., Kenis, D., Van Damme, C., Matthys, E. (2006). Knowledge Sharing over Social Networking Systems: Architecture, Usage Patterns and Their Application. In R. Meersman, Z. Tari, P. Herrero et al. (Eds. ): OTM Workshops 2006, LNCS 4277, pp. 189-198. Van Damme, C. (2006) Folksonomies and Enterprise folksonomies, Master Thesis, Vrije Universiteit Brussel. Van Damme, C. (2006). “De impact van een CRM-systeem op een CRM-implementatie en een methodologie tot systeemselectie” (English: ”The impact of a CRM system on a CRM implementation and a methodology for selecting the appropariate system”, Master Thesis, Vrije Universiteit Brussel. 27th October 2008: Approaches to Analyse Corporate Tags for Business Intelligence Purposes, paper presentation at the OBI workshop (part of ISWC2008 conference), Karlsrühe, Germany. 4th September 2008: Quality Metrics for Tags of Broad Folksonomies, paper presenation at the “International Conference on Semantic Systems” (I-Semantics, part van Triple-I conference), Graz, Austria. 12th February 2008: Presentation research, closed workshop organised by Prof. Dr. M. Hepp, Obergurgl, Austria. 8th October 2007: Folksonomies and its siblings, invited speaker at the EINIRAS conference, Strasbourg, France. 19th September 2007: Kosten-baten analyse bij de ontwikkeling van een bedrijfsontologie uit een enterprise folksonomy (English: “Cost-benefit analysis of deriving a corporate ontology form an enterprise folksonomy”), presentation research, Research workshop at VUB, Brussels, Belgium. 5th July 2007: Building an employee-driven CRM ontology, paper presentation at IADIS conference e-society2007, Lisbon, Portugal. 3rd July 2007: Ontology Negotiation in an Intelligent Agents Dynamic System for Military Resources and Capabilities Planning, paper presenation at IADIS conference ISA2007, Lisbon, Portugal. 7th June 2007: FolksOntology: an Integrated Approach for Turning Folksonomies into Ontologies, paper presentation at the Workshop "Bridging the gap between semantic web and web2.0" (part of ESWC2007 conference), Innsbruck, Austria. 26th April 2007: Een kritische kijk op de nieuwe classificatietechnieken voor de documentalist (English: “A critical view on new techniques for classification”), invited speaker at Inforum2007 organised by BVD (= Belgian organization for classification data and information), Brussels, Belgium. 27th Oktober 2006: Folksonomies and Enterprise Folksonomies, MOSI-presentation, Brussels, Belgium. 21st September 2006: Folksonomies in Government Institutions, GovCamp Brussels, Brussels, Belgium. 2nd June 2006: Folksonomies, Open-spaces meeting on knowledge sharing, Ukkel, Belgium. Member of the PC of the 2nd workshop on Social Aspects of the Web (SAW 2008) organized in conjunction with 11 th International Conference on Business Information Systems (BIS 2008), Innsbruck, Austria, 5-7 May 2008. Sarah Berghmans, Het lokaliseren van experts binnen de onderneming aan het hand van een analyse van tags , Master Bedrijfskunde (Management) (Vrije Universiteit Brussel), Supervisor: Prof. Dr. E. Vandijck, June 2009. Christophe Hautier, Kwantitatieve analyse van de gebruikte tags per werkgroep in een grote Europese onderneming, vanuit een economisch perspectief, Master in de toegepaste economische wetenschappen: Handelsingenieur (Vrije Universiteit Brussel), Supervisor: Prof. Dr. E. Vandijck, June 2009.